Invigorate and exfoliate to give your skin a luxurious silky glow - nose to toe! 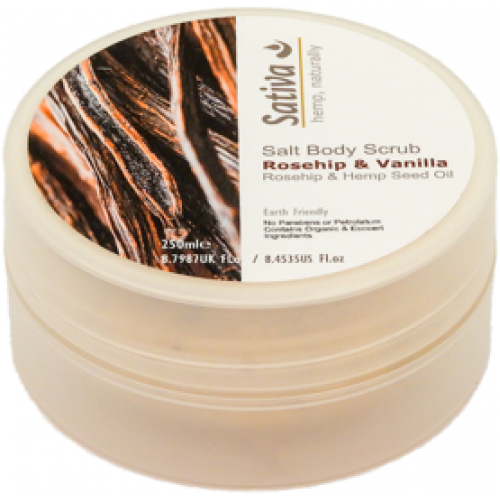 This is a sea salt based scrub. Sea salts are mineral-rich and contain high proportions of potassium, magnesium and bromide. The salt is immersed in Shea Butter, Hemp-, Olive-, Vanilla- and Rosehip Oils which are rich in vitamins and minerals, to help strengthen tissue cells, preserve the natural moisture of the skin, revitalize and remove toxins. And of course it smells divine!